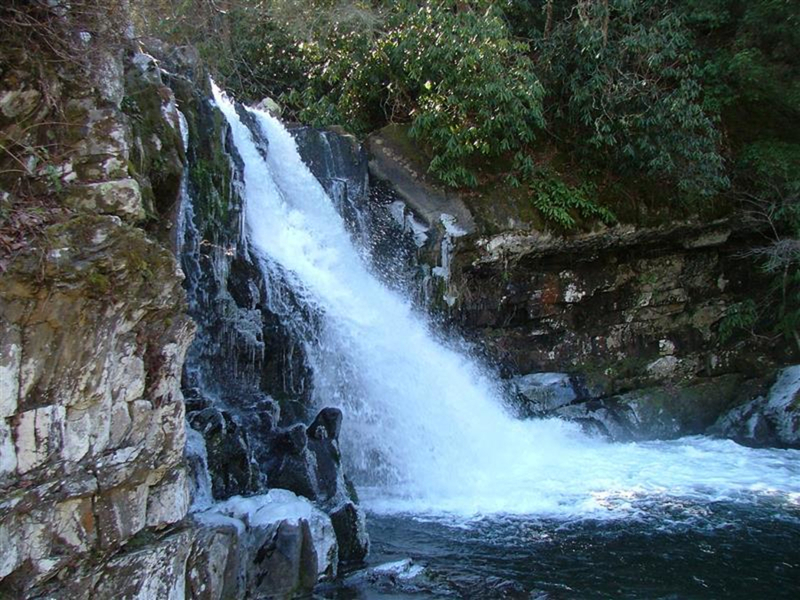 This is one of the most popular hikes in Great Smoky Mountains National Park because the falls and 100-foot wide pool at the end offer visitors a beautiful spot to take a dip. There is also a 6.5 mile loop (see parking information). 2-4 hours is common depending on pace. While the Smokies are an amazing year-round destination, road closures due to snow and flooding are common; be sure to check the NPS website for current conditions. Abrams Falls, located in Great Smoky National Park, is a great destination for a wide variety of reasons. While they're not the tallest falls you'll ever encounter, they are some of the most powerful. In terms of volume, Abrams pumps out more water than any other set of falls in the park. And it comes crashing into one of the most frequently visited destinations in the park as well: a 100-foot wide pool that dozens of visitors come to enjoy on a daily basis. Unfortunately, there have been some fatal accidents at Abrams Falls over the years involving drownings and cases of hypothermia, but if you plan your visit at the right time of year and make yourself aware of the potential risks, there's no reason why you shouldn't enjoy making your way up Abrams Falls Trail. The hike to Abrams Falls takes you along Abrams Creek from the crossing on the Cades Cove Loop Road and follows the beautiful rushing water for 2.5 miles to the thundering falls. During your hike you will work your way up and down the hills along the creek, giving you "from above" views of the water and of the mountains along Cades Cove. For anyone trapped in the traffic of the Cades Cove Loop, this hike may just be the perfect break from the car. As for the technical details regarding this trail, it's relatively easy and moderate compared to some other hikes you'll find in the park. It's only 5 miles roundtrip and very easy to follow, since it basically just parallels Abrams Creek the whole way to the falls. Due to its relatively easy nature and the beautiful swimming destination at the end, the trail to Abrams Falls is often very crowded with people, especially during the summer. 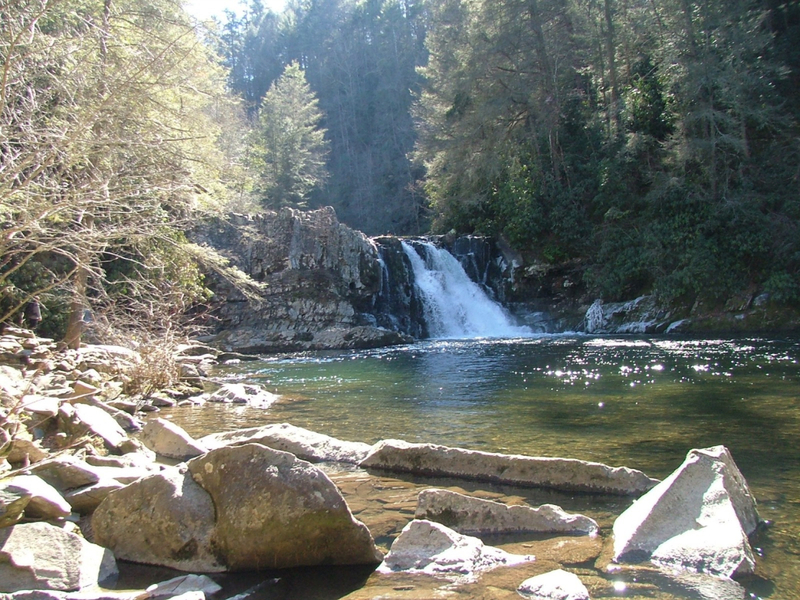 And again, during the summer months, hiking to the falls provides one of the best swimming holes in all of the Smokies. Anyone! Hikers and trail runners will both enjoy working their way to the falls, and the easier nature of the trail will mean even the most 'off-the-couch' hiker can complete this pleasant Smoky stroll. In fact, families with small children are commonly seen along the trail, so feel free to bring the little ones. For parking you have two options. The first option is to park at Stop 10 along the Cades Cove Loop Road. There will be a small roadside parking area here and a gravel (and gated) path leaving from the opposite side of the road towards the woods. Take this path and you will see a trailhead sign as the trail enters the woods that tells you that the Abrams Falls Trail will be reached in 0.8 miles. 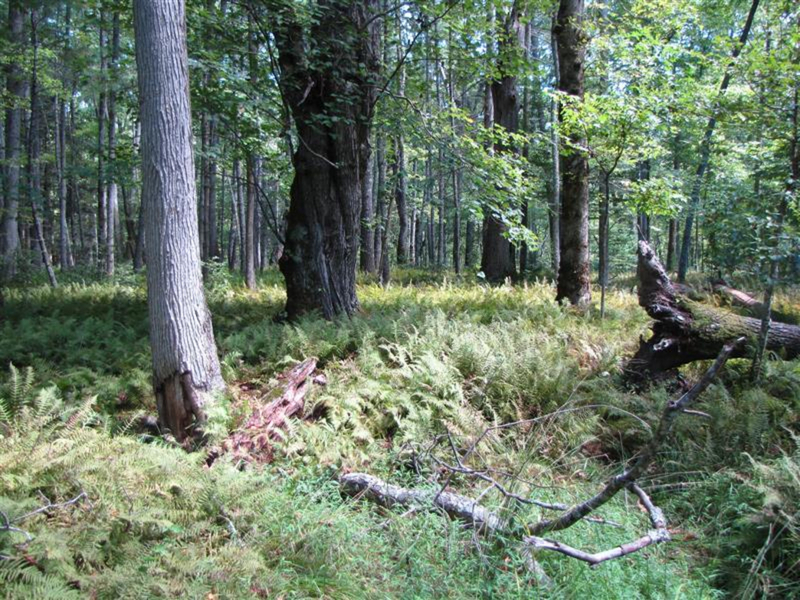 After passing several old cabins, the Abrams Falls Trail is reached. This option makes a 6.5 mile round trip hike. The second option for parking is to continue past Stop 10 on the Loop Road and turn right onto the gravel road just after Abrams Creek is crossed. There will be a sign just before the gravel road that shows that the Abrams Falls Trail is reached this way. Parking can be found at the end of the gravel road, and the trailhead is right there. 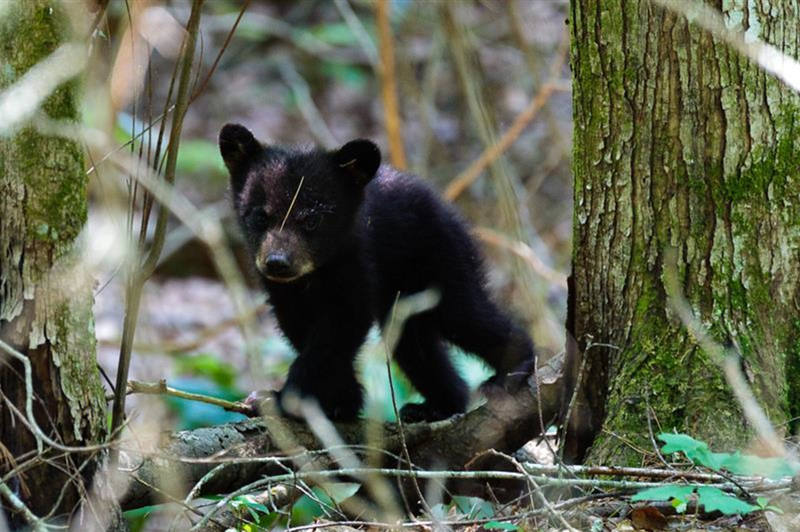 This is the standard place to park for this hike, and makes the full trip 5 miles.Cades Cove closes at dark, so make sure that you are headed back to the car with plenty of time to spare! If you are leaving just before sunset, keep your eyes peeled for deer and the occasional bear in the cove.